Legio Heroica ‘The Holyland’ Crusader Kingdoms® (see Legal Stuff) metal miniatures. 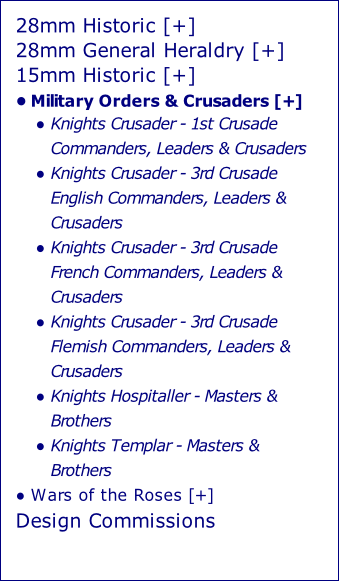 Essex Miniatures Crusades Frankish Knights® (see Legal Stuff) metal miniatures. 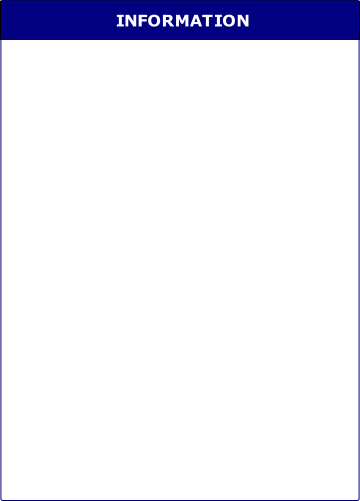 PLEASE NOTE: All decal-sets in this range, with the exception of the Banners & Standards set, are now printed on CLEAR decal film, and therefore must be applied to a white-painted surface. 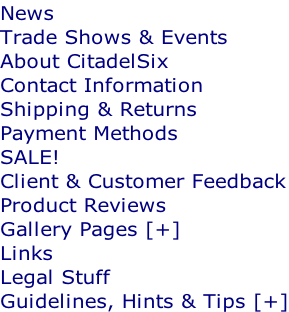 Use the Product Categories and Services menu, above, to view or purchase sets.